Great guys, friendly service and the car looks sensational!! thanks guys!! Jimmy's work is faultless, the paint really pops in sunlight now. It was a new car but looked bland until Jimmy detailed and protected the paint work and wheels. Great price, great service and a great guy to deal with. Now I want him to do the same for my motorbikes. Jimmy has done a great job with the ceramic coating on my beemer 228i. Also got the interior leather protection done. Great products, knowledgeable staff, not too expensive and friendly service. Jimmy really knows his stuff and it clearly shows. Dirt and water washes off easily and the car remains sparkling for a long time. Driven through some bad weather recently...wiped the car with a damp cloth and vola....its shining like new again..took abt 10 mins...it was that easy. Highly recommended this place. Hi All, what more can you say other than Jimmy has done at absolutely awesome job on my car. I took a while to find the right guy to do my paint protection, trust me I'm picky, but was blown away with Jimmy's knowledge, customer service and ultimately the end result, could not be happier and highly recommend Fine Shine to anyone who wants a fantastic result at a great price. Also, and unfortunately, I picked up some paint damage and a dent on my roof on the way to Jimmy's. That said and after some consoling from Jimmy, he had taken a picture of the damage, shot it off to a mate in the trade and organised a great repair, ie Jimmy goes the extra mile. You struggle to find quality and service this good these days, go Jimmy, Regards Adam. 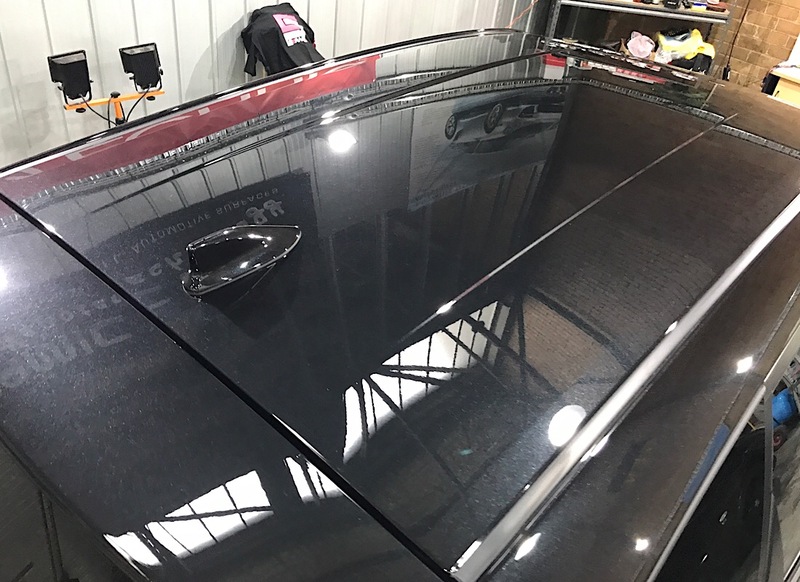 The location was incredibly convenient for me with my work and Jimmy was very accommodating of all my questions and wanting to pop in at various intervals to see how my paint protection was progressing. The car looked great when I picked it up, and I'm now looking forward to seeing how it comes up after its first wash.
Jimmy is a first class operator. He made my Maserati GT sparkle and his attention to detail blew me away. I could not recommend him more highly! Jimmy did a terrific job I've never experienced before. Definitely 5 stars service. He made my car looks even much better than the day when I bought my car 4 months ago. He charged a really fair price for paint correction and protection. It really worths visiting Jimmy if you got paint issue. Very helpful. Managed to help me out with all my inquiries to a very high standard. The job was completed promptly and efficiently on my new porsche, and very happy with the work done. Great job! Jimmy was fantastic, did a great job on my X3. I had paint protection and wheel & glass coating done, it works really well and my car stays clean even after rain. Jimmy was very tentative and easy to deal with. Highly recommended Fine Shine! Just have an protection coating done and the overall effect is brilliant so far. And Jimmy at this detailing shop is very patient in regards to teaching me how to maintain the exterior of my car correctly and efficiently. Jimmy was incredible! Took my new BMW 118i to him on Thursday and got it back on early Monday. For such a fair price he did the detailing, paint protection and the interior cleaning. I was so happy with the outcome! Job well done and would definitely recommend again. Top bloke Jimmy!! 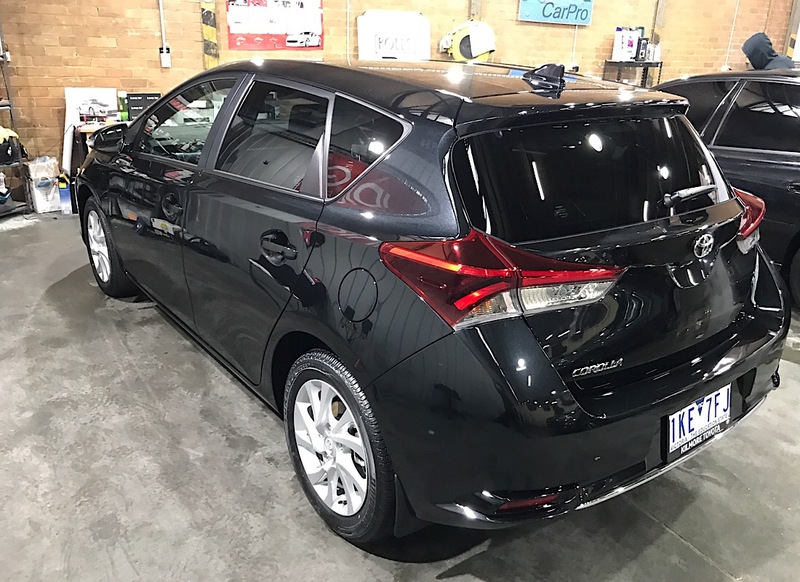 very good at what he does... communication was a AAA+++ fairly priced and excellent work and knowledge..dealership wanted 2.5K for the paint protection, tint and clear film on door cups/ on top of rear bumper..Jimmy quoted just under 1.5K for the same job including darkest legal ceramic tint..!!! highly recommended!! keep up the good work Jimmy.. Amazing!!! Jimmy did a fabulous job on my new car the first time, but when my car was written off he quickly did the paint protection the second time and just as good! I received a very light scratch on my bonnet and he buffed it out straight away, free of charge - what a legend! Highly recommend this place! Jimmy was great to deal with. The product and service is top notch, car is looking mint inside and out. The price is also very reasonable. Jimmy talks about his work like it's being done to his own car, I can sense the passion he has for what he does. I have already recommended some mates and my family whom will be calling Jimmy soon to book their cars in. Jimmy was great. Took my new car in for ceramic paint protection, had it back the next morning. Jimmy took the time to explain his way through all of the work on the car from prep to finish and was happy to help with giving me all the info needed to look after the coat. Very good service, can't fault it at all! Brought my car into Jimmy and was absolutely astounded by the results. Car looked ten times better than when I picked it up new. Jimmy is also one of the nicest, knowledgeable and helpful people to deal with, explained everything perfectly about the process. I can't fault the customer service and results at all! Brought my brand new ‘17 Panamera e-Hybrid to Jimmy to have it fully creamic coated, exterior and interior. Car undoubtedly needed some polishing after the long journey from Germany to Porsche Melbourne. The meticulous care and attention to detail that Jimmy put in over the few days of the detailing course were totally impeccable. The end result is a finish that outshines even the cars found in Porsche’s marketing materials. Like those who discovered Fine Shine before me, my deepest appreciation and full respect goes to Jimmy. Outstanding work with unquestionable passion. A great detail and care was taken with our car. I would recommend Jimmy to anyone requiring their car paint protected. Our car looked better than new after the work done. Wow, absolutely outstanding result from Jimmy and his team. First rate knowledge and great service. Highly recommend Fine Shine to anybody. My car looks better now than when it was brand new!!!! Jimmy did a great job of correcting the dealer’s poor delivery detailing. 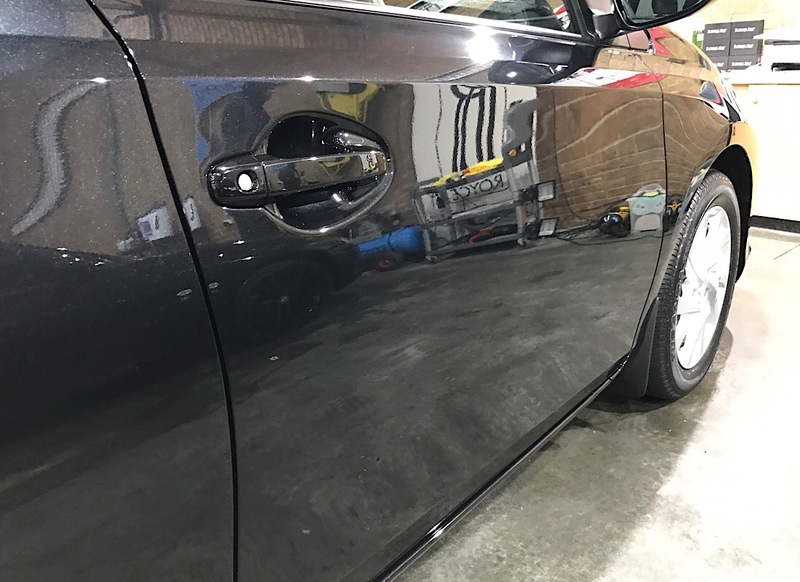 Jimmy corrected a flat, contaminated and swirled paint work to a high gloss finish. 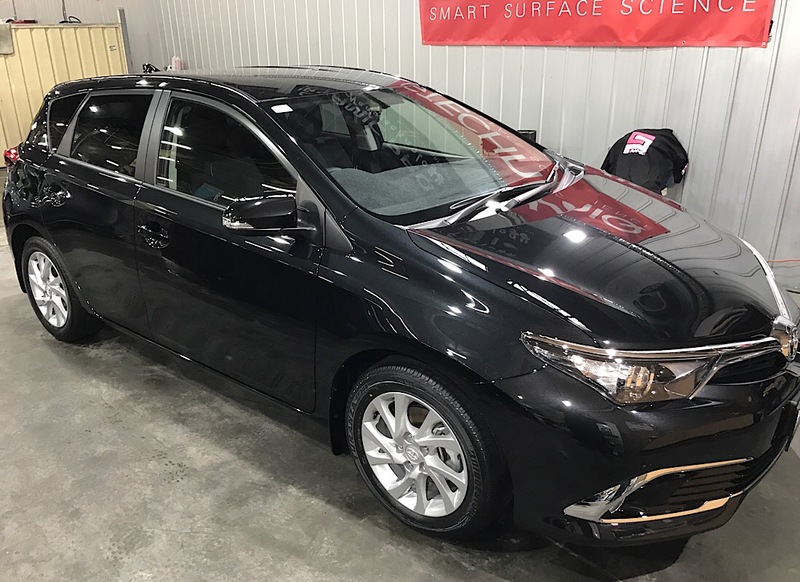 Jimmy is also very helpful to guide you through which detailing process is required and also what is required to care for the car to maintain the finish. What an experience! When my car was delivered to me from the dealership i thought it was great, but Jimmy's eye for detail on my new car was amazing. He took me over the car in the first 5 mins picking out all the damage to the paint sustained by the dealerships detailer. After one day of leaving it with Fine Shine my car looks amazing! Jimmy's customer service is top notch and he cares about he''s customers and the result they are looking to achieve. My Boyfriend got the exterior and interior package, coating the exterior with Ceramic Pro and Ceramic Pro Rain. With the interior getting a coating of the Ceramic Pro Leather and Fabric. The Ranger looked like a show car in the end. The shine of the paint popped with the car, working awesome in the rain. Still waiting to test out the interior but hoping not to. I would recommend any day of the week, the boyfriend decided to leave his coin stash in the car and nothing was taken, so confidence with the team who will be in your car. Jimmy applied ceramic paint protection on my new car. The car now now truly looks like liquid metal! I am very happy, it looks too nice to be driving it; it should go into my living room. Dealing with Jimmy is a pleasure, polite bedside manners, no hassling, no upselling, work done well and in time at a competitive price. I recommend Jimmy and his work. Went there for paint protection. Did fantastic job on my car. The best customer service and products. Gave me some extra services. Definetly recommended. Had my new Red Veloster SR Turbo paint protected today and was beyond amazed at how wonderful Jimmy was to me and my car! I live nearly 3 hours away from Melbourne so Jimmy made sure he finished my car in one day when it usually takes 2 days! Jimmy is extremely professional and friendly! And he gave me great tips and advice on cleaning and maintaining my car! Thanks again Jimmy....YOUR THE BEST!!!!! Jimmy does a brilliant job at all levels here. 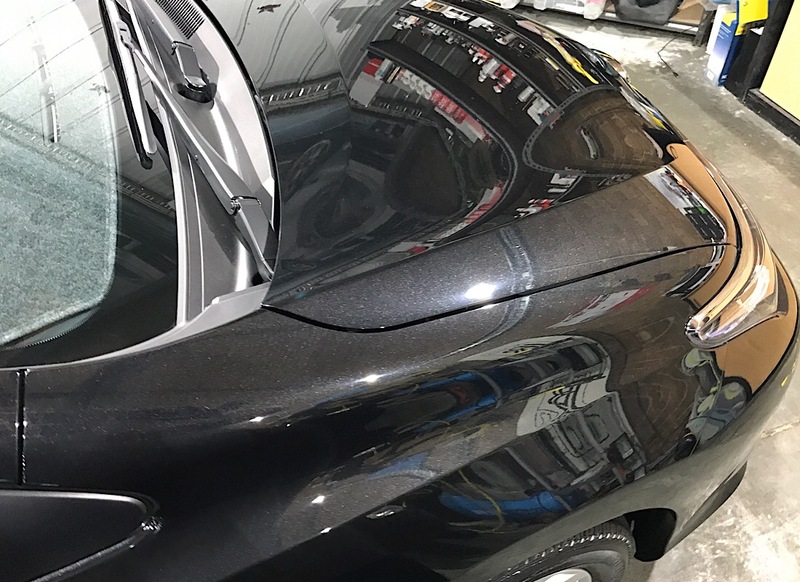 Highly professional, and a magnificent finish left on the car, inside and outside. Apart from his ongoing willingness to share his time and knowledge to keep your vehicle looking perfect, his prices are very reasonable, and he gets the job done quickly and efficiently. 10/10! 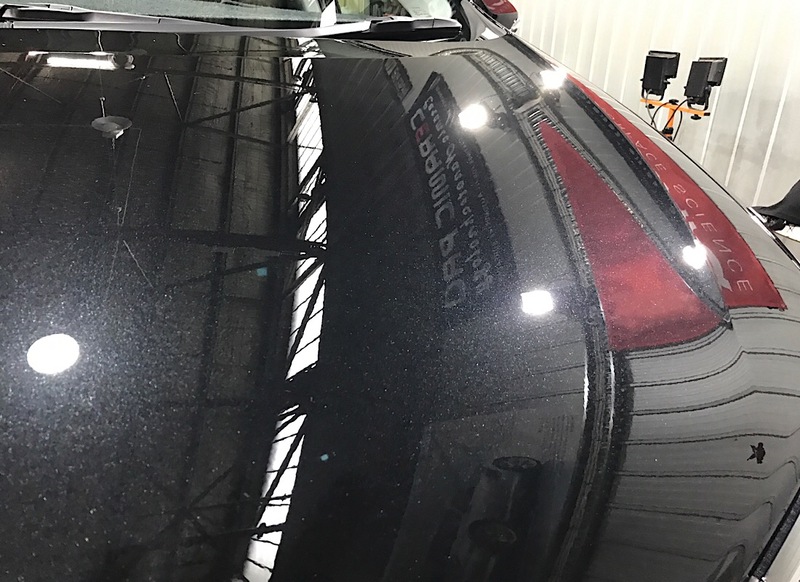 We took our new Alpha Romeo Giulia to Jimmy for ceramic paint protection. We couldn't believe the difference between the factory job (swirls, dull) and the liquid shine that Jimmy produced. Highly recommended. Had our Mercedes A180 detailed by Jimmy at Fine Shine Port Melbourne. The car was looking very dull before he started, must say when I picked it up it was like picking it up new from the showroom. Great job done, very happy. I loved Jimmy's work so much I had to go back for the second time on another car. He's so careful and meticulous that you will not have any problem entrusting him with luxury cars of any price range. I have seen him coat a $400K+ 911 and that thing looks brand spanking new afterwards. Jimmy is such a great bloke he knew I needed the car on the same day so he didn't have lunch to finish it early! What a legend. Will definitely come back again. 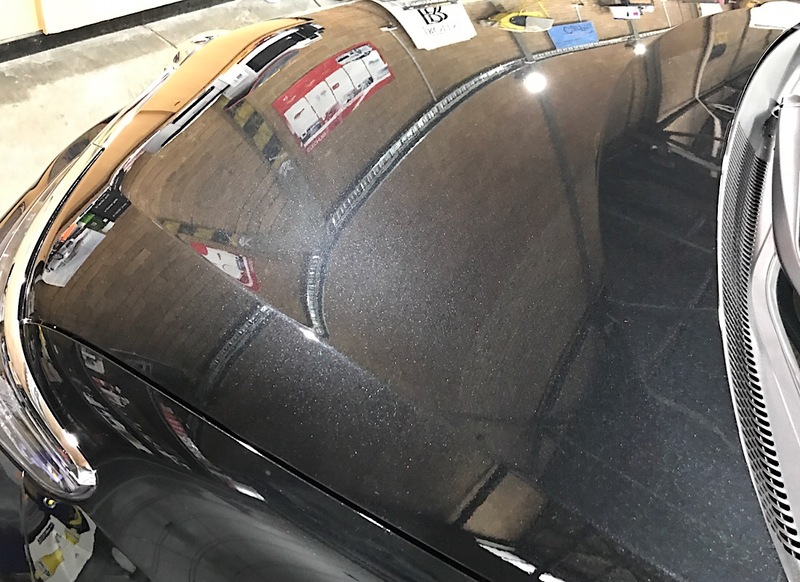 I spoke to Jimmy over the phone about paint protection being applied to my recently purchased car and he was extremely knowledgeable and happy to answer all my questions. I called a few places for quotes and of all the people I spoke to, he was the only one who took the time to explain what he would need to do to the car and what paint protection could and couldn't do. I booked it in and Jimmy polished and applied paint protection to my baby, removing the fine swirl marks and scratches, and the end result was better than when I picked up the car new from the dealer. He gave great advice about how to care for the exterior paint and I am really pleased with the finish. Without a doubt I will be recommending Fine Shine Detailing to anyone who wants their car detailed and/or paint protection applied by a true professional. Thanks Jimmy! Jimmy was great to deal with. 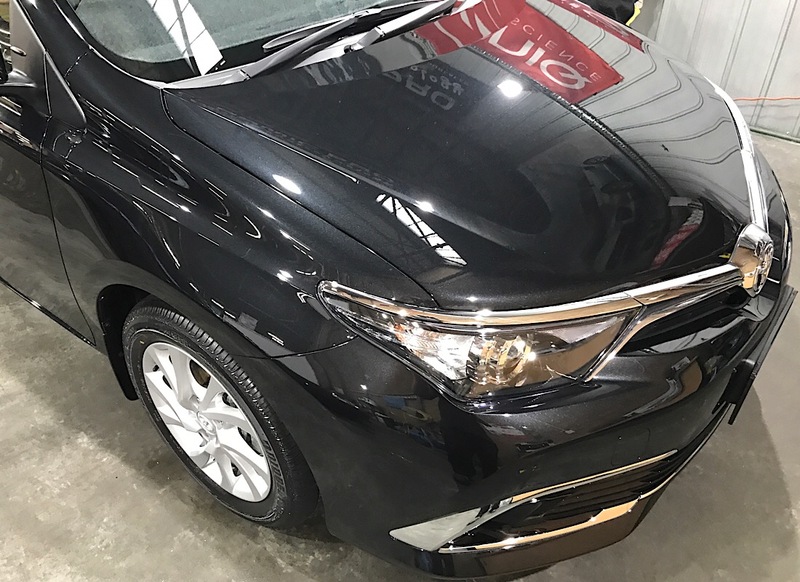 He did an absolutely amazing job polishing and applying a ceramic coating to my new Pajero Sport. The polishing he did removed essentially all of the fine swirl caused by the lousy car washers at the dealership, despite the car being brand new! Would definitely recommend his service to all friends and family. My partner’s mum just bought a Mazda 3 so will be arranging a time with him for that car once we know the delivery date! Thanks again Jimmy! Dropped my new MUX off four days after picking up from the showroom, and i thought it looked good from the showroom floor...... nothing compared to now after Jimmy and his teams magic touch... looks awesome, thanks Jimmy, recommending to everyone ! Jimmys work .. Unbelievable !! Attention to detail 100% ! Definitely recommend for any one getting there car corrected/protection/detailed! also gave extra services and reasonable pricing. Immaculate work Jimmy !!! I took my car to Jimmy because it is ten years old and was looking a bit tired. I saw the 5 star rating on Google and read the other reviews and booked in for a detail and ceramic coating. I got my car back today and I couldn't believe the difference. It looks amazing considering how it looked when I took it in. Jimmy is supremely honest and upfront, and took the time to talk me through what he was going to do, and told me how much it would cost. When I got the car back, the cost was exactly what Jimmy quoted, and he spent time with me to explain how to protect the finish once I get the car home. I can't recommend Jimmy and his workmanship enough and I would happily take my vehicles back to him. Thanks Jimmy! I couldn’t be happier with Jimmy and Fine Shine’s work on my new Peugeot. I had the paint protection done and Jimmy packaged up a deal including glass and the wheels. The car is now immaculate and looks better than when I took delivery. Jimmy was great to deal with and took the time to run through what he’d done and how to look after my car. Fine Shine’s prices are incredibly reasonable and I’m confident that Jimmy’s work will keep my car looking better than new for years to come. Jimmy was perfectly professional, knowledgeable and great to deal with. I took a near-new Focus RS to Jimmy for polishing and ceramic protection, and the paint turned out far better than it was when freshly delivered! He completely got rid of road tar, nicks, scratches and water-spotting and left my car looking a million bucks, and far easier to maintain. He also provided great recommendations for long-term care of the ceramic coating. I could not be happier with his service - I will be coming back for sure, and would highly recommend Jimmy's service to everyone. Thanks again! Excellent customer service and exemplary finished product. Jimmy was trustworthy and knowledgeable. Highly recommendable for not only his work, but also how he took the time to explain the process and work involved unlike other detailers. Jimmy worked with us to get the best out of our 2018 Audi S3. I just added 2-layers of ceramic coat on my car with Jimmy. Even if the car is brand new, I saw some swirl marks here and there, but Jimmy polished and removed them. I took the package option which also covered the interior, glasses and wheels. 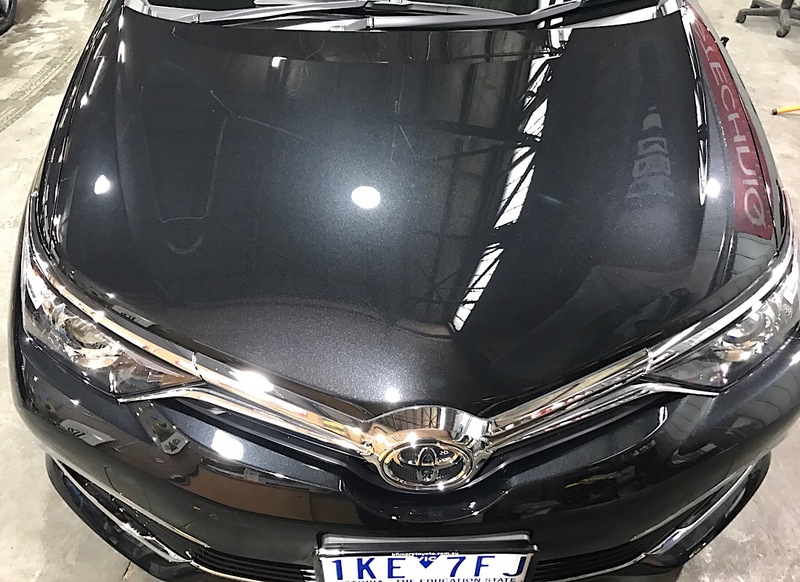 Now I dont need much effort in washing the car, dust and dirt are easily removed, they simply don't stick to the paint or any other parts that are protected with the ceramic coat. I am very happy and satisfied with his Job. Surely he's done meticulous job on the car. I will recommend Jimmy to anyone who wants to protect your car and the ease of washing. Furthermore, the ceramic coat adds up gloss to the car. Thanks Jimmy for the great job! Jimmy did an outstanding job to my new Alfa Romeo Giulia. The car looks better now than when I bought it new. The way Jimmy managed to get the black to pop was amazing. The paint has this incredible ceramic feel which results in water beading & simply slipping off when wet. Its so much easier to keep my car clean now. I highly recommend Jimmy if you are looking for the ultimate car detail using the ceramic paint protector. Jimmy’s customer service was fantastic, very reliable and best of all my 2010 Audi TTRS came up as new. It’s now been 1 month since I’ve had the coating applied, car still looks awesome and so easy to maintain. I have no hesitations in recommending Jimmy’s work and will definitely be using his services again for any future cars. Thank you! There’s not enough stars for Jimmy. Communication was exemplary, turnaround time was ridiculous, Jimmy sent me a photo of the contamination in my paint on a car days old. When I showed up the next day, the car looked incredible. The quality of the finish was insane and he took the time to walk me through how to care for the finish. If you are reading this, stop searching and comparing and get Jimmy on it. Do not haggle and do not say you can find it cheaper elsewhere - he’s already less than half the price of the dealers with a way better finish - pay what he asks and let him do the work, it’s worth it. It’s rare to find people passionate about what they do and about serving their customers but Jimmy hits both to the highest level. Thanks Jimmy. 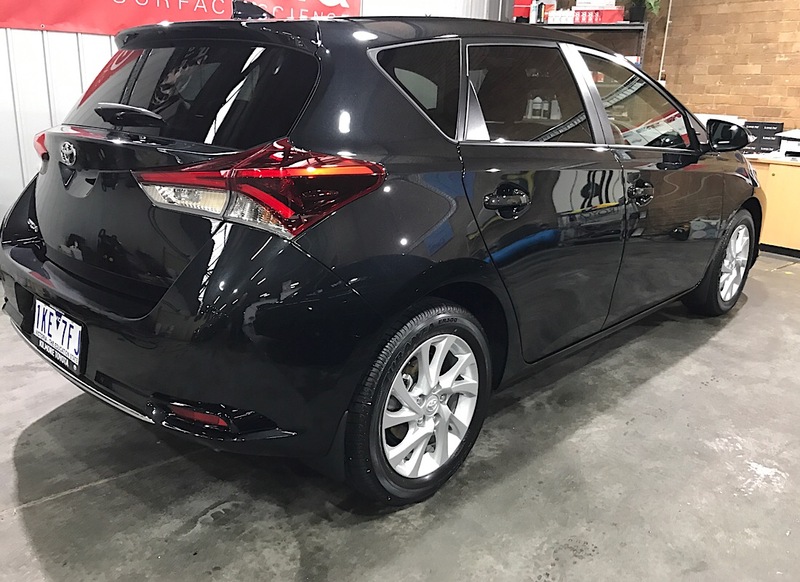 Thanks to Jimmy my wife's 2013 Mazda3 looks as good as new again. It went in with minor dents, chips, some heavy scratches and two rims damaged from scraping the kerb. Jimmy took care of it all before applying the paint, glass, plastic and leather protection. His work is amazing. I highly recommend his services. Thanks Jimmy. Just picked up my Civic Type R from Jimmy after detailing. Absolutely Amazing !!! and definitely deserves more than 5 stars. This level of service he has put in is definitely above and beyond. Not only to car detailing, but also customer service. Jimmy genuinely wants the best for your car and will answer all your questions. This is very important as it builds confidence and trust. Well done Jimmy, I'll definitely be seeing you soon in the future. And for those looking to get their car detailed, please look no further this is it. Great efficient services by Jimmy. Jimmy was very helping explaining with up keep of my car in mainting the shine after Jimmy did the pain protection. My car looks amazing & the protection is definitely a must. I would definitely recommend Jimmy with no hesitation with my cars & will definitely be back to Jimmy with all my car detailing/protection. Jimmy is amazing. He really brought the gloss and shine out of the paintwork on a 5 year old VW Tiguan. The photo below shows the final product. This was a full detail (interior is spotless) and with a ceramic coat for extended protection. Great work, awesome advice and epic service. Thanks Jimmy. Jimmy certainly deserved all the 5 stars ratings on Google reviews. His skills in bringing back the gloss to my car is like magic. The shine is comparable to those at Car Shows. Jimmy was very caring. After a fantastic ceramic coating was done on my car, i was driving home and it was raining so i was worried as the curing process wasn't completed. Jimmy texted me before i got home on what to do. You can see passion about car detailing just by talking to him. Highly recommended. Great job Jimmy. My new red Cerato Sports looks super. The dust and rain spots just hose off. Thank you very much and I have no hesitation in recommending your expertise. After Jimmy prepped and applied a ceramic coating to my car, I can say it looked better that when I picked it up brand new from the dealer 2.5 years ago. Amazing job and patiently explained how to care for my car moving forward. Always happy to share his knowledge and expertise. Thanks Jimmy. I booked my Mini Cooper JCW at Fine Shine Paint Protection in Port Melbourne to have ceramic paint protection done. Jimmy did an amazing job making my car looking 10 times better than when I first got it from the dealership. He even go above and beyond to fix all the stone chips on my Mini. If you want your car to look it’s best go see Jimmy. I highly recommend this place to anyone. I have just picked up my car from Jimmy and his team. I had the ceramic pro coating done for paint and leather. It's looks amazing! I highly recommend Jimmy services. He is professional, knowledgeable and easy to deal with as he treats you as a valued customer. Also provided after care and maintenance instructions. Jimmy did a brilliant job with my new X3. Despite being new, it was delivered from the dealer in less than optimal condition. Jimmy put in the extra effort to rectify this and it looks amazing. He clearly takes pride in his work and is very knowledgeable and accommodating. I can't recommend him highly enough! Just picked up my car and the vehicle is looking all crisp and nice. He was also more than happy to run me through the process of what I should be doing for maintenance! Would highly recommend!